Before this order , You should get 2-3 bars of stable signal in the location where the outdoor antenna is fixed in. If you have any questions about this product by SH·W·CELL, contact us by completing and submitting the form below. If you are looking for a specif part number, please include it with your message. 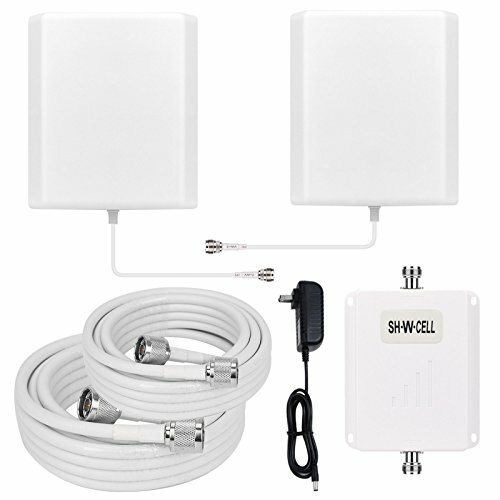 zBoost ZB645SL-CM Dual Band Cell Phone Signal Booster with Ceiling Mount Antenna, up to 7,500 sq. ft.
zBoost ZB575X-V TRIO SOHO Xtreme Tri-Band Verizon 4G Cell Phone Signal Booster, up to 5,500 sq. ft.